Last week I told you about the family cookout we went to over the Independence Day weekend, and the fact that I was in charge of dessert for 30 people. 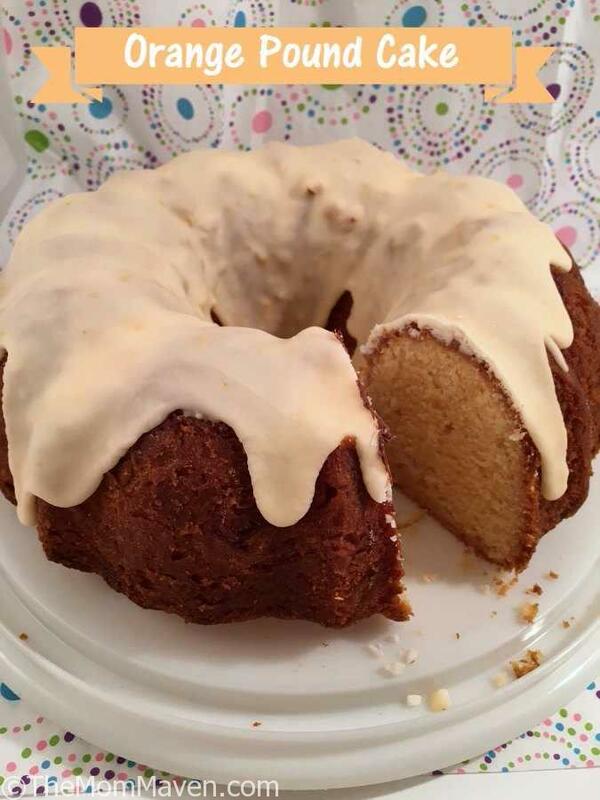 I’ve already shared the Patriotic Dome Cake I made and today I’m sharing recipe number 2, Orange Pound Cake. I wanted to make something with a light fruity flavor and this cake hit that mark perfectly. I will warn you though, if you don’t have a stand mixer, this recipe will be hard to make. Thankfully I still have custody of Aaron’s Kitchen Aid Mixer so making this cake was a breeze. 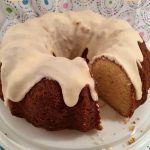 This Orange Pound Cake recipe is easy to make, if you have a stand mixer, and a tasty addition to any summertime celebration. Grease 12 cup bundt pan with shortening and set aside. In a stand mixer, cream together butter and sugar for 8-10 minutes. Add in eggs 1 at a time, beating in between. Add in flour, salt, orange zest while beating. Add in food coloring. I used red and yellow liquid food coloring and followed the proportions on the box, it was 14:1 yellow to red. My cake came out much lighter than I thought it would. You might want to double the food coloring. Remove from stand mixer and gently fold in the orange soda. Pour the batter into the prepared bundt pan, do not fill more than 2/3 full because this cake rises a lot due to the carbonation. Bake for 1 hour to 1 hour 15 minutes, until toothpick comes out clean. Remove from oven. Cool in pan 20 minutes. Turn out onto wire rack and allow to finish cooling. In a small bowl combine all of the glaze ingredients, whisk until thick. You can add more liquid or confectioner's sugar until you reach desired consistency. This cake was the first time I needed to use the zester I got for Christmas a few years ago. My zester gives me long strings of zest so I just chopped it up fine before adding to the recipe. Also, somehow I missed adding the orange juice to my shopping list. As I was preparing to head to the store mid-baking, my husband said, “Just juice the orange you zested.” Duh! I just wasn’t thinking things through at that point. This cake looks delicious! I’ve never made one with orange soda, but I think my family would like it. Thanks for sharing!